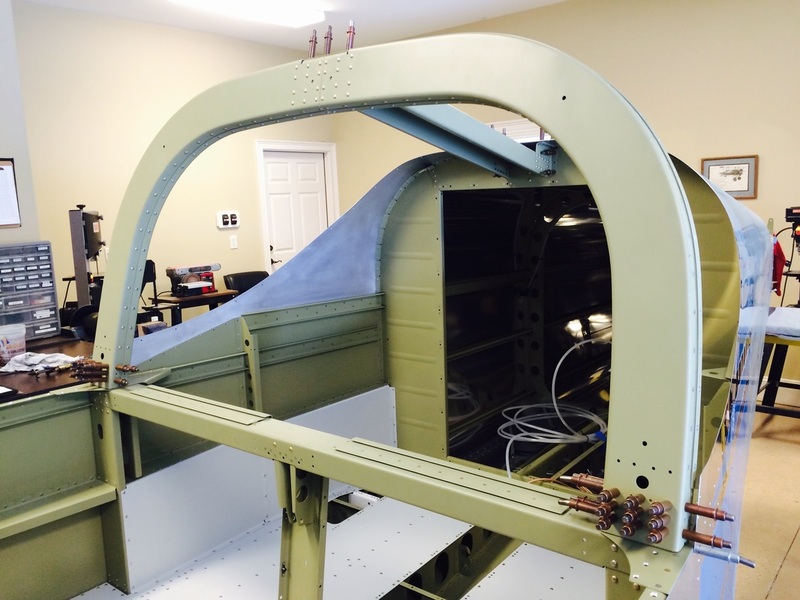 Center of the rollover structure, which is riveted in place on the fuselage and then removed to complete the unit. 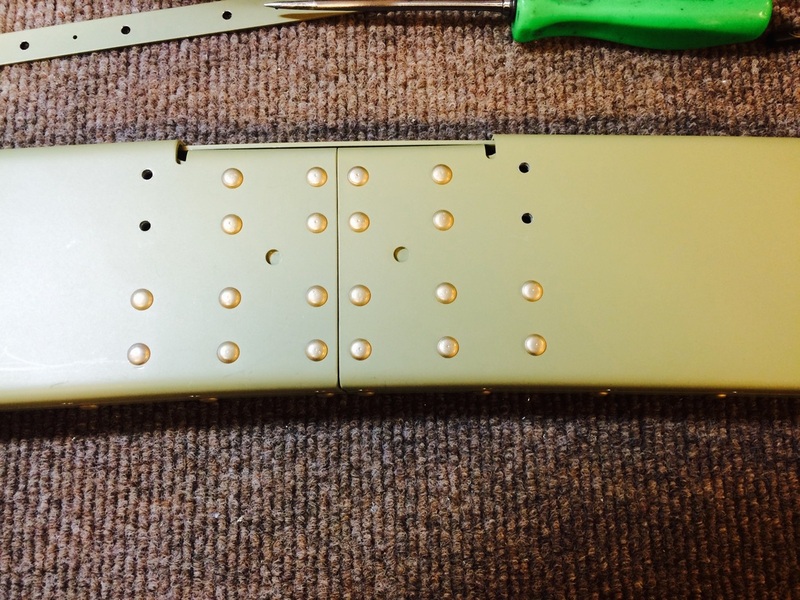 There are about 200 rivets in the structure including pop rivets used to close the back. 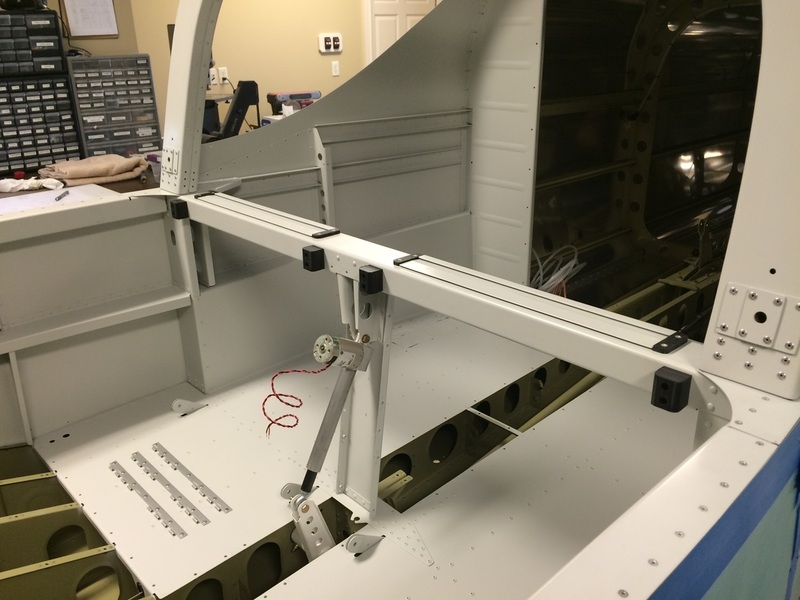 Riveting complete before attachment to fuselage. 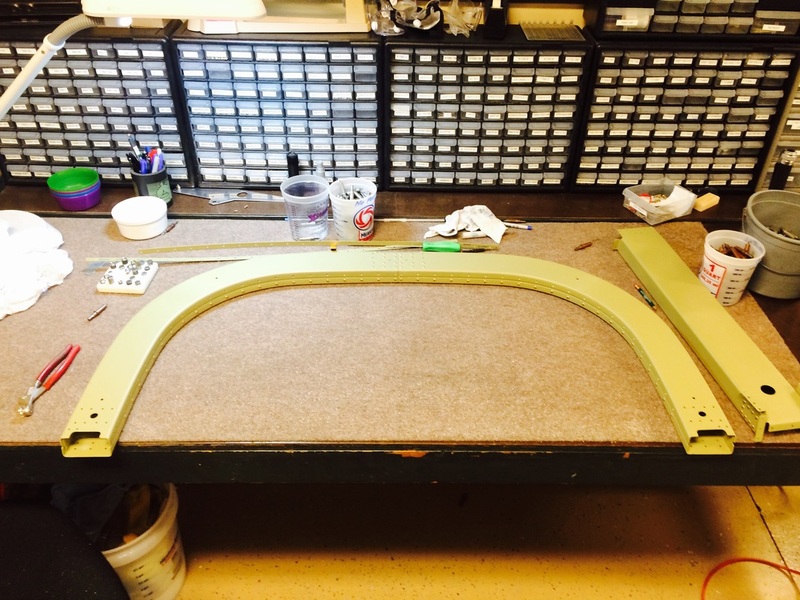 We are going to paint the inside first and then rivet the roll over structure in place. 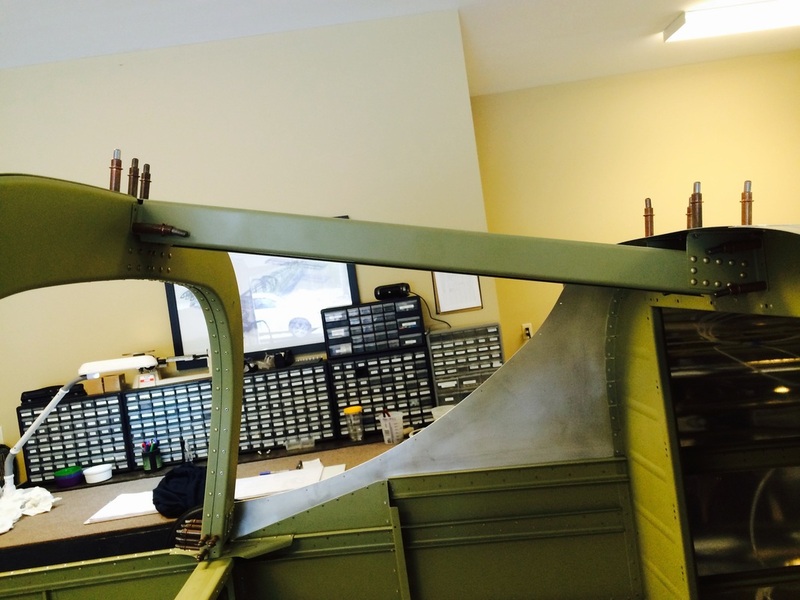 Match drilling the rollover structure to the fuselage bulkhead. 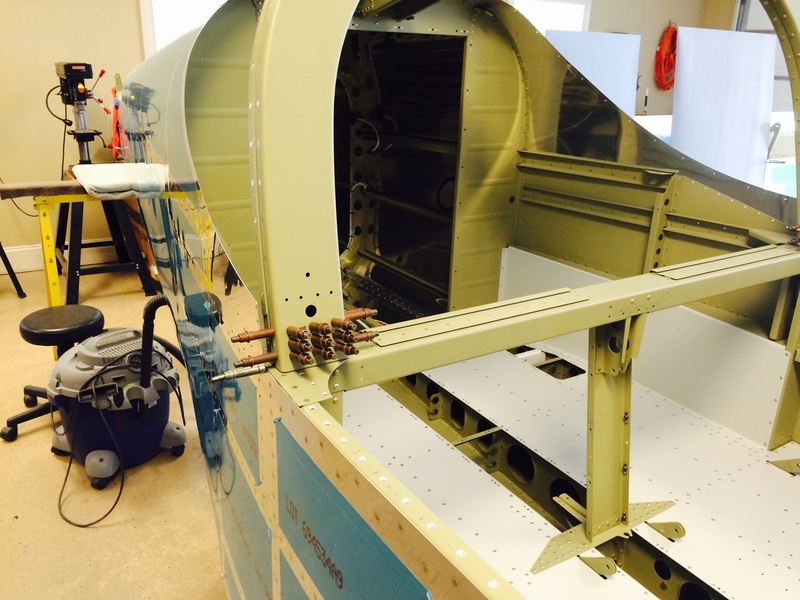 The completed rollover structure and support brace in place ready for riveting after painting. 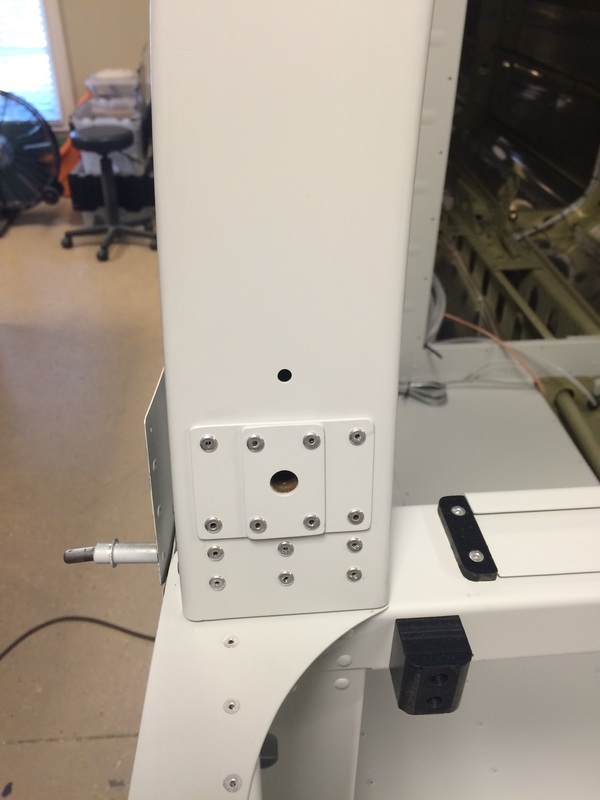 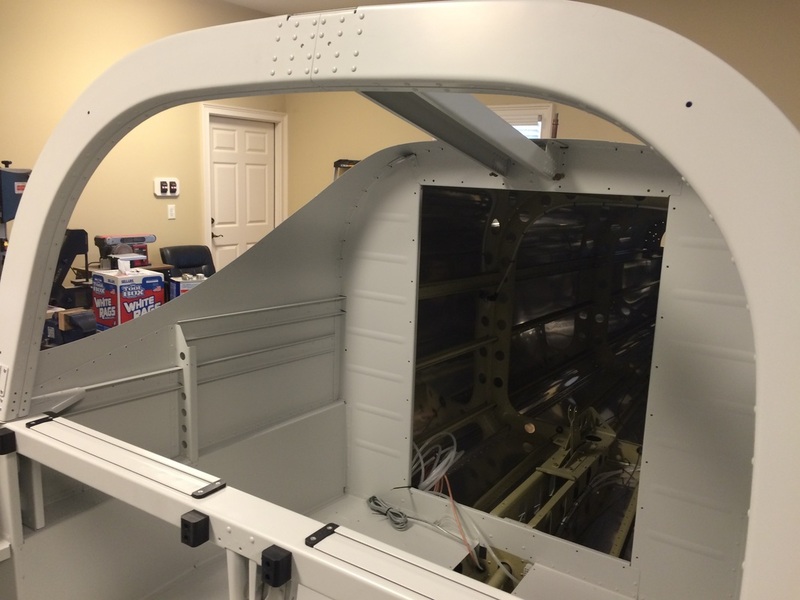 This brace attaches the rollover structure to the fuselage main baggage bulkhead. 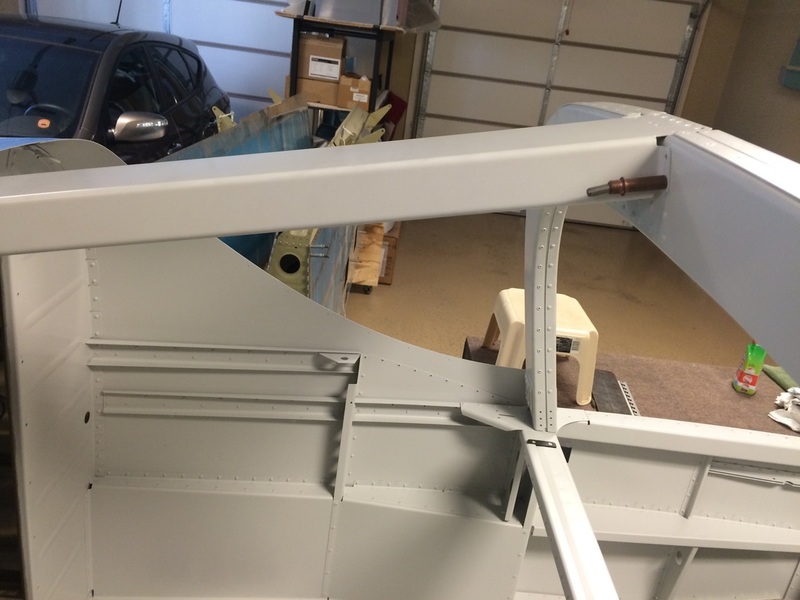 Rollover structure after final painting and riveting.